Do you enjoy working with students and helping them understand different concepts in Math, English, or other academic subjects? 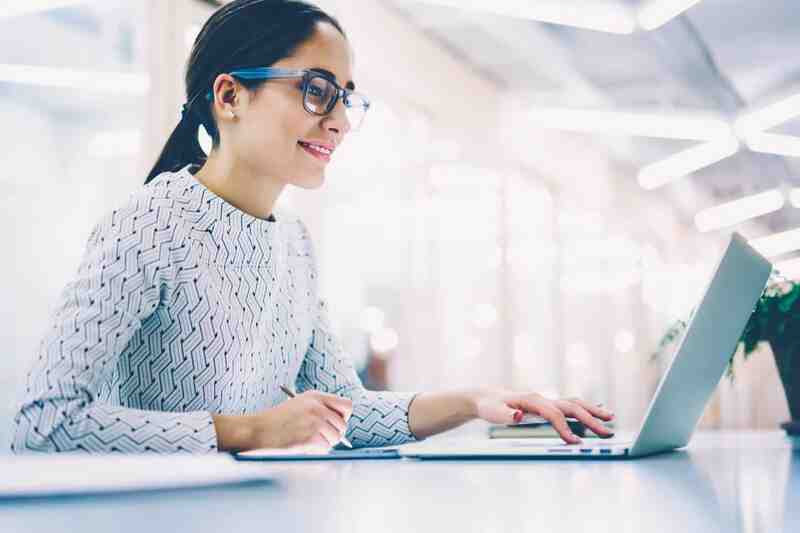 If that sounds like you, then these online tutoring jobs can help you reach your financial goals while doing what you love. Tutoring face-to-face has been popular for many years, but the growth in online tutoring is soaring. VIPKID, one of the most popular online tutoring websites, has more than 30,000 tutors based in North America alone. At least 100,000 new tutors apply monthly from which a modest 5,000 are hired. Don’t let the hiring rate statistics deter you from applying. Instead, use them to prepare for the often intense application process. Tutors in any capacity are expected to know the subject they teach and be able to teach it well. If you think that tutoring is a service that meets your online job expectations and matches your qualifications, then consider a position teaching online. The following list of tutoring jobs should help you decide if tutoring online is best for you. All online tutoring jobs will require a laptop or computer, a reliable internet connection, and a quiet place to conduct tutoring sessions. Applying to a few of the following tutoring jobs may help you land a position as a tutor sooner rather than later. VIPKID is a platform that connects English tutors with children mainly in China. It claims to have one of the most rigorous hiring processes among online tutoring job providers. VIPKIDs’ popularity is soaring among teachers quicker than students, but that fact coupled with an intense hiring process does not automatically lead to a dead end. It simply means that it takes time, dedication, and a willingness to learn a new teaching style in order to get hired and make money with VIPKID. If you meet all of the basic requirements and you’re willing to learn VIPKID’s teaching style, you can submit your application in just a few minutes. 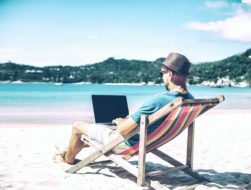 The opportunity to earn up to $22 per hour from home teaching online is not one to pass up if you need to earn more money and enjoy working with students. The hiring qualifications, pay rate, and student information are all inclusive in this online tutoring opportunity because you are your own boss. It takes a lot more work initially to set up your own private tutoring service and build a client base, but if persistent and successful, you can potentially earn a lot of money this way. In private tutoring, you set the rules. Consider creating your own services website and blog and use it to market your expert tutoring services on the subject(s) of your choice. The best way to gain exposure to your target clientele (parents of students) is to provide content answering common questions that they are asking. By providing answers to their problems, you are in turn building relationships and opening doors to new tutoring opportunities. If you think that offering private online tutoring services is for you, then start by creating your own tutoring service website with HostGator. It’s one of the most affordable options to get a tutoring website started. Wyzant is a job platform for tutors that facilitates healthy, safe relationships between tutors and tutees. The platform boasts lessons in more than 250 subjects to students of all ages. Originally, Wyzant kept up to 40% of a new tutor’s hourly wage with the opportunity to decrease that number to 20% after tutoring for a certain threshold of hours. Today, they charge all tutors a set fee of 25% per hour which is built directly into a tutor’s hourly rate charged to the student’s account. If you wish to earn $20 per hour tutoring students online, you will simply need to charge $24 in order to cover Wyzant’s platform fees. Additionally, Wyzant requires students to pay 9% per lesson they purchase, keeping the fees out of your court as a tutor. Wyant offers a nice incentive to tutors who refer new students to the platform. If you know a student in need of tutoring and would like Wyzant to facilitate the lessons, you will receive 100% of your hourly rate charged to the referred student. The student will be required to pay the minimum 9% fee regardless. If using a safe, intuitive tutoring platform to make money tutoring sounds exciting, apply to Wyzant and set up your profile. QKids connects more than 300,000 Chinese students with North American English teachers. Tutoring English from home is one of the most rewarding online tutoring jobs. You have the opportunity to work from home while connecting with students willing to learn from the other side of the world. The payment structure is simple with QKids. Once you’ve passed the application process, initial screening, demo interviews, trial classes, and background check, you can enter into a 6-month contract and start earning money. Each lesson is no more than 30 minutes long and pays $8. There are standby lessons that pay a minimum of $4 each for no more than 10 minutes and no teaching involved. The bonus opportunity with QKids includes a $1 Performance Fee per lesson based on parent reviews and a $1 Attendance Bonus after teaching at least 15 lessons in any given week. Whether you’re ready to give QKids your undivided attention or just a few part-time morning hours, you can earn a good income as an online English tutor. More than 5.4 million tutors trust Superprof to advertise their tutoring services to students of all ages and backgrounds. With Superprof, you can list your ads for free and describe your abilities in any way you like. Superprof is different from most other online tutoring job platforms. You list your tutoring services for free, set your own rates, and pay no fees on your earnings — 100% of your income is yours when you land tutoring gigs through Superprof. Tutee payments take place outside of Superprof via PayPal, Square, bank transfer, cash (local students), or any other payment method agreed upon. Though the idea of tutoring independent of the platform with absolutely no fees is enticing, you’ll want to screen each tutee properly before contracting your services. Using a tutoring platform like Superprof is an amazing way to build your client base and reach new students who are looking for your services. Online tutoring jobs for college students exist with the help of Tutor.com. Whether you’re pursuing a degree in education, business, or anything in between, you don’t necessarily need a degree to make money tutoring within your area of expertise. No teaching is required when working for Tutor.com. Instead, you’ll work with students of all ages to complete homework assignments, study for tests, or drive home topics in various subjects. You can set your own schedule on Tutor.com on a week-to-week basis. They do require a minimum 5-hour commitment per week. If you can attest to your expertise in a topic that is in demand, commit to teaching online for 5 hours per week and enjoy helping others academically, then apply to Tutor.com to get started. Chegg is an on-demand tutoring job that allows you to log in and remain “available” to teach online throughout the day. This could lead to more tutoring hours logged and fewer cancellations as an on-demand tutor. Students can also book your services based on your scheduled availability. For college students, Chegg requires proof of enrollment in a four-year university or previous enrollment at the very least. Chegg also requires passing a test on the topic of your expertise before contracting your services. Chegg pays $20 per hour based on exact minutes logged while tutoring on the platform. Even if a student connects for fewer than 5 minutes, you will still be paid for 5 minutes minimum. You will then be free to accept a new student that is waiting online for help. Always keep in mind that Chegg is a tutoring service and not a place to do students’ work for them. If helping students learn is something you can do, then this online tutoring job might be for you. Brainfuse accepts online tutor registrations only after reviewing your resume. The requirements to even land an initial registration code are steep. If you have a master’s degree at minimum and reside in the US, only then will Brainfuse consider interviewing you for a tutoring job. A proficiency test, background check, and training will follow in succession if you pass each checkpoint. Brainfuse offers one-to-one tutoring online (24/7). Working with a hard-to-join company like Brainfuse sounds daunting at first, but passing the required tests and landing a position is rewarding. As part of an elite team of online tutors, you can expect to help many students excel in education. Brainfuse doesn’t publish a tutor’s expected earnings, though some sources leak potential earnings between $10 and $12 per hour. It’s better to speak with Brainfuse directly about pay rate during the hiring process to learn how much tutors earn. If you prefer not to tutor online, but instead wish to build a local clientele base, consider these ways to provide local tutoring services to students in your neighborhood. Facebook communities are growing by the day and it’s no wonder that it’s become a great place for service providers to connect with clients. The same is true for local tutors. Join local community groups and share your services and qualifications so that parents can meet you and contract your tutoring services for their child. You certainly don’t need to teach children on the other side of the world when there are those in your neighborhood that could use tutoring help. If face-to-face tutoring sounds like something you are ready to offer, then let your Facebook friends and community know to get started. Other places to find local tutoring jobs are with your local community college and schools. There may be a growing need for tutors right in your local educational facilities, so make sure your services are known. There could be tutoring program applications or bulletin boards where you can display your tutoring services. Make sure to list your qualifications, contact information, and availability when posting your local tutoring services publically. 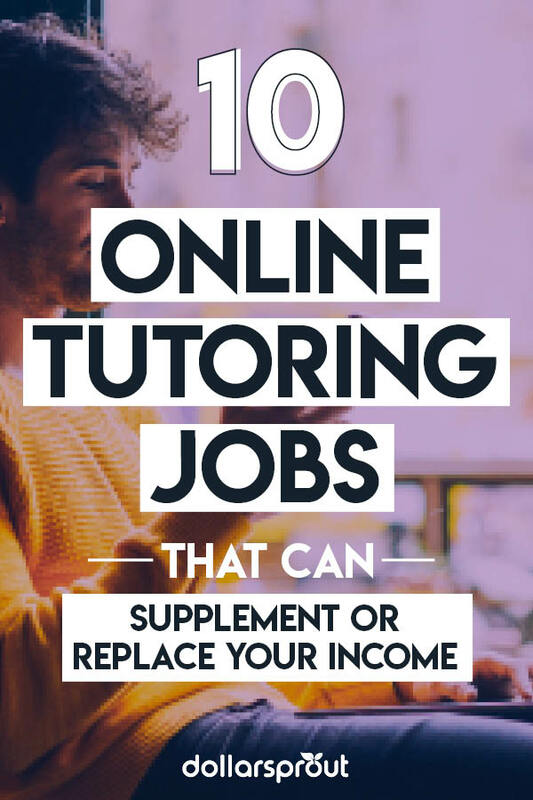 Whether you’re a teacher looking for side work or a college student that needs extra income to pay student loans, consider applying to any of the above listed online tutoring jobs. One of the best things about teaching online is that you never have to leave the comfort of your own home. You can often work early morning hours, evening hours, or late night hours when you teach online. The flexibility and rewards of tutoring alone might convince you that online tutoring jobs are your perfect match.